Keep your attention on your business and let the roofing experts from Glick Brothers Roofing & Renovations take care of your roof-related needs. We offer a wide range of affordable commercial roofing services that will leave with a strong, durable roof that can stand up to the elements from season to season. What makes us a leader among commercial roofing companies? Take a moment to explore our available roofing services for commercial purposes to find out! 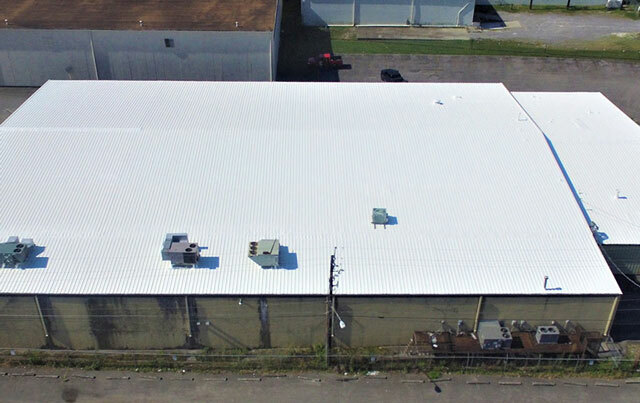 Commercial roofing systems are unique in that they often cover a wider surface area. Such systems also tend to be flat and more susceptible to damage in certain areas because of roof protrusions from things like vents, ducts, and air conditioning units. Metal roofing also has to be cared for in a certain way, particularly around the seams. We also handle asphalt, cedar shake, and rubber roofing. At Glick Brothers Roofing, we understand the unique demands of all types of commercial roofing systems and roofs with unique design features. Commercial roof replacement is worth considering if you have an existing roof that needs updated. In some cases, it may be possible to replace the surface only. But if your roofing system is extensively damaged, you'll likely benefit from a complete replacement. Commercial roof replacement also gives you the opportunity to explore different materials that may be more appropriate for your building. Another reason to consider replacing an older roof is the ability to correct previous issues with poor installation or lack of maintenance. With both new installations and replacements, we have a no mess approach to roofing work that involves the use of a special piece of equipment called the Equipter. When commercial roof repair involves leaks, don't take a chance on letting it get worse. Even if you only suspect a leak, our expert roofers will use proven techniques to determine if there is a leak and help pinpoint the source of the problem if there is one. Our approach to commercial roof leak repair involves more than just a quick fix. With commercial roof maintenance, we encourage business owners to be proactive by scheduling regular inspections so that problems can be detected and corrected sooner rather than later. An inspection of your existing commercial roof is also a good idea if you are noticing issues with leaks or general wear. Our contractors will give you an honest evaluation of your roof so you can decide what steps to take. What makes us one of the top commercial roofing companies serving the York, Lancaster, and Dauphin County areas is our personalized approach to doing business. We invite you to contact Glick Brothers Roofing today if you have any questions. We're also at your service if you have any questions once we get started or after the job is finished. You can also contact us to receive a pre-work quote that's fair and accurate. When you're in need of prompt, reliable commercial roofing services, look no further than Glick Brothers Roofing. Contact us today at (717) 449-8612 to schedule an appointment with one of our experienced roofing contractors.